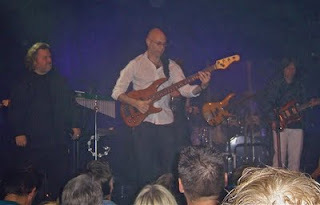 My second chance to see Kayak on their 2009 tour was at 'De Kade' in Zaandam. It was one of the few 'rock venues', as opposed to the seated theatres. Normally that would mean a shorter setlist with less ballads. But Kayak couldn't decide which songs to skip, so they just did the 'theatre set', including the halfway break. 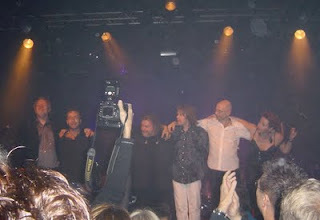 (See my Franeker review for setlist). Back to the music. The sound was much fuller than last time, and it was good to hear Ton's keyboards so well, as well as all the backing vocals. Thanks to all this, the new material impressed me much more than it did before. Until now, I wasn't too keen on songs like Turbulence and Nobody Wins, but on stage these songs sound much more dynamic than on CD. Cindy really does a wonderful job all the way through! Let The Record Show, For All The Wrong Reasons and Because I... were other highlights from the LFU-stuff, as well as -of course- Before The Angels Fell. Helped by a small but effective lightshow, the band gave a true pop/rock performance, which I seem to prefer to the quieter presentation at theatres. But that's just my opinion...Once again 'Sad To Say Farewell' was omitted. It is supposed to be on the setlist, but was it ever played so far during the tour??? Anyway, if Kayak goes on like this, I forgive them for the rather 'safe' setlist, and I will certainly enjoy their efforts again in Zoetermeer (6 november)! 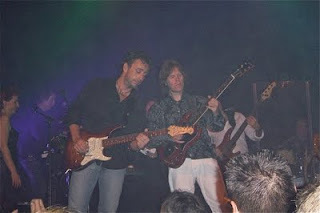 For the Zaandam gig, I was joined by my good friend (and long-time fan) Mike from Lancashire, UK. He took the following pictures. They may not be HD quality, but in my opinion they perfectly show the enthousiasm of the band! 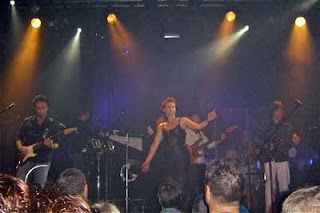 Here are some pictures from the first "LFU" concert in Franeker. This includes the opening speech by Mr. André Rouvoet, Holland's minister of Family and Youth, and deputy prime minister. Mr. Rouvoet has been a fan for years, and doesn't hesitate to promote Kayak in the press and on television.